Rachel Maddow has pointed out that several of Trump’s allegations about the border — “trafficked women in cars at the southern border, their mouths taped shut . . Muslim prayer rugs in the southern desert . . smugglers’ amazing cars” — are scenes from a movie. She’s done a service by pointing out that Our Leader’s build-the-wall obsession is based on fiction, but she was slightly off in this comment: “Now in any normal administration it would be insane to suggest . . . even joke about the president of the United States seeing stuff in a movie . . . and maybe thinking it was real — or at least real enough to justify an actual military deployment of thousands of active duty U.S. troops to the border.” Leaving aside the reference to deployment, that’s not quite so; This is not the first time that a President has been accused of confusing movies and reality. There were two credible reports that President Reagan stated, in discussing the Holocaust and describing concentration camps, that “he had served as a photographer in a U.S. Army unit assigned to film Nazi death camps” or, in the second exchange, that he was "a member of the Signal Corps taking pictures of the camps." Reagan wasn’t there; his wartime service was in Hollywood making training films. Apparently he confused seeing films to with taking them. Speaking of presidential delusions — in this case those of a presidential hopeful — Howard Schultz, unpopular in his home town for selling the Seattle SuperSonics (now the Oklahoma City Thunder ), has achieved that status on a national scale by declaring his interest in running for President as an independent. Assuming that he drew enough votes in a critical state or two, and assuming that he, a nominal Democrat, drew more from the Democratic candidate, he would cause Trump to win again, presumably not his aim. His delusions are twofold; that he could win, not merely be a spoiler, and that there is a large constituency for his platform of social liberalism and fiscal conservatism. Maybe he got his ideas from a movie. 17. Article by Lou Cannon, https://www.washingtonpost.com/archive/politics/1984/03/05/ reagan-38/26b480c6-3d54-46d0-b0fe-1c426c139847/?utm_term=.a1dcbcce7b64. See also Cannon’s book President Reagan: the Role of a Lifetime, pp. 486-89. The title "A Different Washington" is intended to convey two messages. 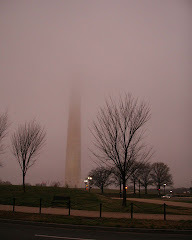 The first is that I am writing from and no doubt reflecting the views of "the other Washington,"
perhaps provincial but perhaps unaffected by the fog that seems to cover the nation's capital. The second is my hope that eventually there will be a different and better Washington, D.C. than we have seen, especially since January, 2001. The "news" in the caption includes the news media. Part of what ails the country, in my opinion, is traceable to the deficiencies in the news media, especially their willingness to accept an official or fashionable line without sufficient analysis. Most of the notes concern national issues, but a few are local to the Northwest or to the Seattle area. The "search blog" window on the top bar doesn't do anything, or anything useful. To locate a word or phrase, use the "find" function on your browser. Ctl-F will open it in Windows Explorer.